Journey into this historic city. 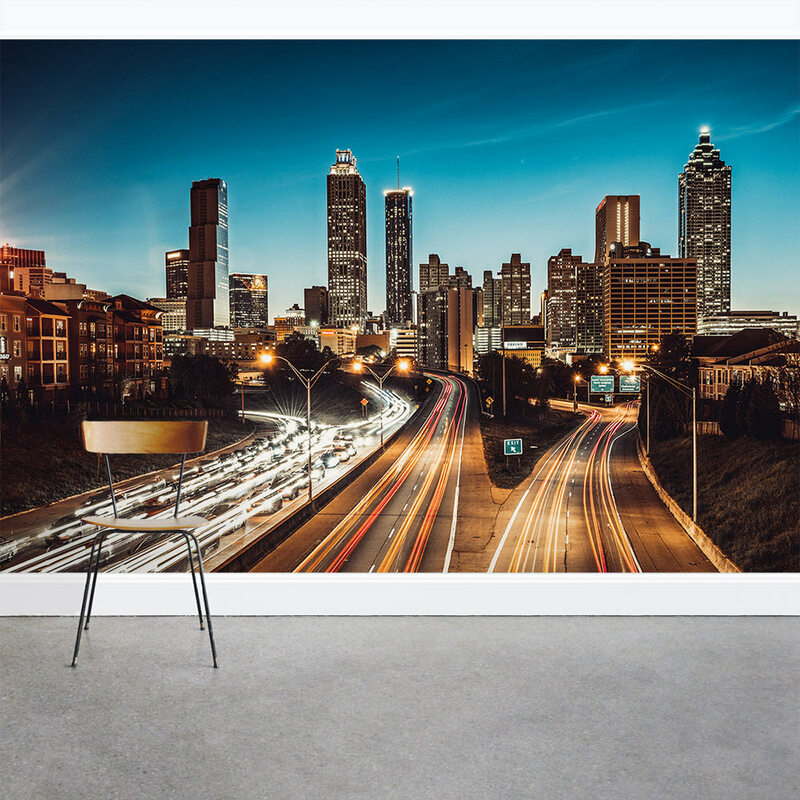 The night is full of city lights in Atlanta. Great for an accent wall or the entire room. 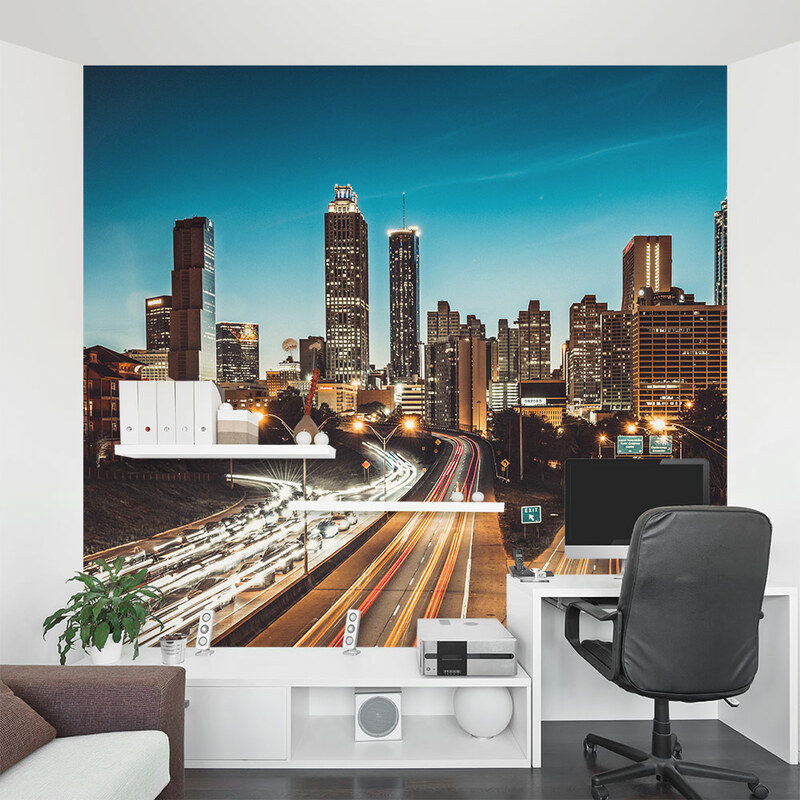 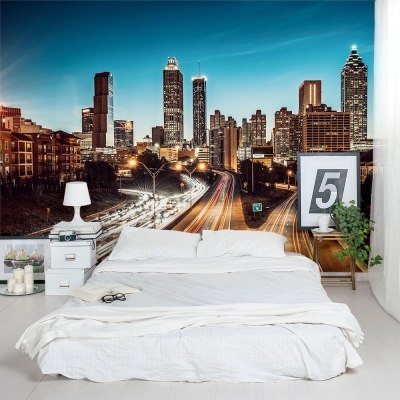 These removable and re-positionable Atlanta cityscape wallpaper mural panels are an easy way to decorate any wall in your home, nursery or office.